Glenbuchat Heritage - 22 Off to collect peats? 22 Off to collect peats? 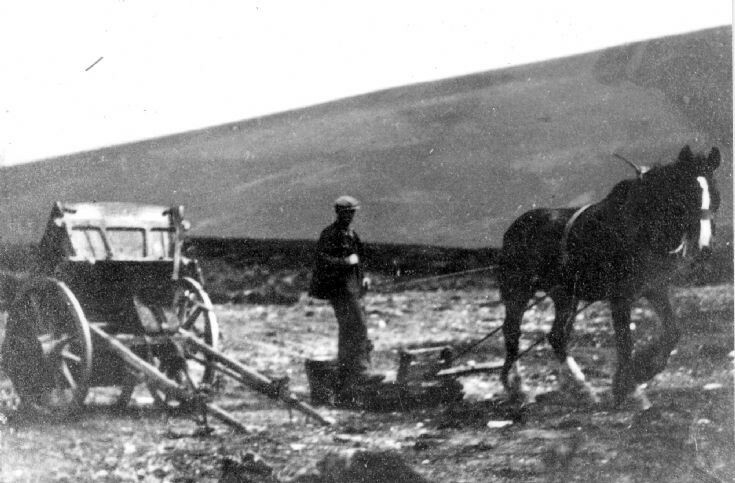 Jock Davidson of the Crag(Craighead Farm), Belnacraig, at the peat moss on Creag an Sgor. He has just tipped off a load of peats from the peat sledge and is hitching a ride back to the peat bank to load the sledge again. The cut peats,laid out to dry, can be made out in the background.